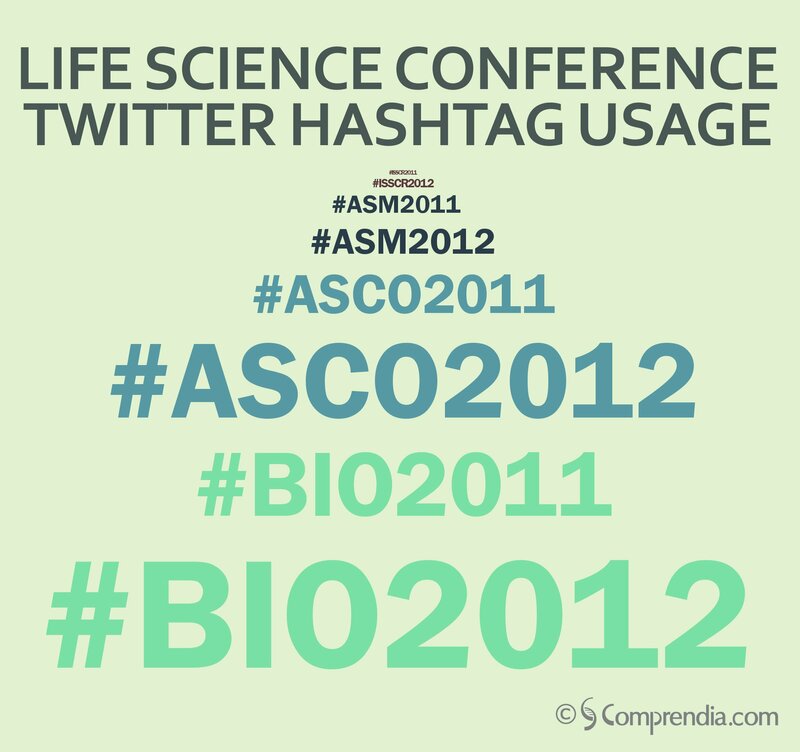 Is Twitter Catching On At Life Science Conferences? Here’s a short post for a Friday afternoon (I can no longer rack pipet tips to wile away the rest of the week, I’ve got to blog!). Using our Twitter hashtag data, we looked at the growth in the number of Tweets for several life science conferences from 2011 to 2012, and the results can be seen in the figure (hashtag size scaled by Tweet volume) and table. We saw between 45% and 211% growth over only 1 year, which portends a bright future for both scientists and companies using the application to communicate during conferences. As we’ve previously covered, currently only 4-12% of conference attendees are Tweeting—these current data point to those numbers increasing greatly in the not too distant future. To see the list of life science conference hashtags we track, visit our list, and let us know if you’d like a more in depth analysis.